Fueling Data Express is the National Collateral Database, FNC’s unrivaled property information database. The NCD, national successor to the California Market Data Cooperative, is a research site which combines appraisal data, public record, and real estate sales information into the most current, comprehensive property database in the nation. Use Data Express to easily access NCD information and use the data and AI Ready to automatically complete your appraisal forms. You can also retrieve up to five years or more of a property’s transaction history, download images into your reports, use extensive search filters, and generate, save, and print subject property and sales comp reports. Appraisers who use Data Express decrease their turn-times and increase their work capacity. Plus, they know the values they deliver and the data they use is backed by the gold standard of real estate data—the National Collateral Database. 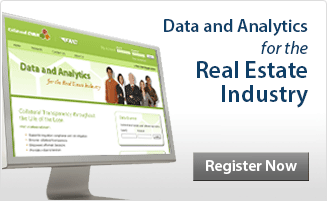 No one else in the industry delivers a data source backed by real-time appraisal data. Public record and real estate sales information simply aren’t enough on their own. FNC’s National Collateral Database blends those elements together for more accurate, timely valuation data than ever before. Note: FNC uses only that appraisal information for which it has received the appropriate permission to do so.